The Trojans will not be heading to a bowl game. In their final game of the season, the USC Trojans took on the Notre Dame Fighting Irish. The matchup represented the 87th meeting between the two historic teams. Despite a first half lead, the Trojans fell to the Fighting Irish 24-17 to end their season. Notre Dame entered the game ranked No. 3 in the nation with a a chance to meet the No. 2 seed Clemson in the College Football Playoff. 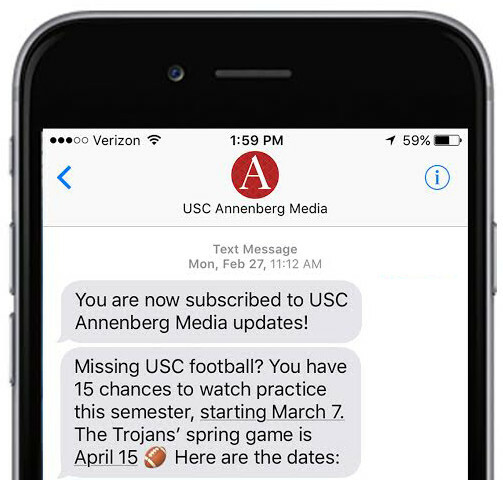 Meanwhile, USC entered the game fully out of contention in the Pac-12 South and needed just one win to become bowl eligible. Following the loss to UCLA, the Trojans came into the game with an aggressive mindset. After winning the ceremonial coin toss, the Trojans elected to receive the ball first. The aggression continued into the Trojans' first drive as it took just under four minutes for the Trojans to score. The eight play drive was capped by Vavae Malepeai's 14-yard touchdown. The score put USC up 7-0. The Trojans were able to stall the Fighting Irish on their first drive and took over following the punt. Unfortunately for the Trojans, the drive ended when Michael Pittman was stripped and fumbled the ball. USC ended the first quarter up 7-0 against the nation's No. 2o ranked overall defense. Meanwhile, the Fighting Irish were unable to score against USC's defense. The Fighting Irish totaled just 27-yards across one quarter. USC on the other hand had 179-yards of offense. JT Daniels alone accounted for 138-yards on 16-of-17 passing. USC began the second quarter driving in Notre Dame territory. USC ended their drive with a 30-yard field goal by kicker Michael Brown to go up 10-0. Still, the Fighting Irish were not without fight. After several punts, Notre Dame finally scratched the scoreboard with a touchdown. Quarterback Ian Book connected with Chris Finke for a 24-yard pass. The touchdown cut into the Trojans' lead 10-7. With a couple of minutes left in the first half, USC had another opportunity to add to their lead. Michael Pittman hauled in a 35-yard jump ball on 3rd-and-4 to continue the Trojans' drive. Tyler Vaughns later had a tight catch on the out of bounds line. USC's opportunity to score and add to their lead ended when Amon-Ra St. Brown fumbled the ball at the 15-yard line. The fumble derailed another opportunity by the Trojans to score. USC could have potentially ended the first half up by more than a score. Notre Dame took over and were unable to score. The first half ended with USC up, 10-7. The 289 yards completed by USC were the most given up by the Fighting Irish in a half all season. The Trojans stalled Notre Dame's opening drive of the second half. The team took over and slowly marched up the field. USC's drive ended when they elected not to go for it on 4th-and-1. Notre Dame took advantage of the short field and Dexter Williams ran 52-yards to put the Fighting Irish ahead of USC, 14-7. The score change represented another second half lead that the Trojans blew. The Trojans marched up the field into Notre Dame territory on their second drive, but a holding penalty on center Toa Lobendahn pushed them back and ended the drive. The holding call represented the third penalty accrued by Lobendahn. Previously, Lobendahn had a snap infraction and a false start. Despite the stall on offense, USC’s defense still held on. Midway through the third quarter, the Trojans prevented the Fighting Irish from scoring a touchdown. Instead, Notre Dame was forced to settle for a field goal to go up, 17-10. USC entered the fourth quarter down just one score. USC opened the fourth quarter with possession, but suffered another costly penalty when Amon-Ra St. Brown was ruled as an ineligible receiver. The penalty nullified a potential big gain for the Trojans. Instead, it forced the Trojans backwards. USC’s drive would end a few plays later. Notre Dame opened the fourth quarter steadily driving, but it was the walk-on, Jordan McMillan who ended the Fighting Irish’s drive in the end zone. McMillan’s interception gave the Trojans another chance to even things up. A potential touchdown would have put USC out of contention. The Trojans took over on the 20-yard line, however, were unable to advance past that. JT Daniels was sacked twice in the same drive before USC punted. The Fighting Irish later capped the game with a 51-yard touchdown by Tony Jones. The touchdown put Notre Dame up, 24-10. USC was able to score a last ditch touchdown when Tyler Vaughns caught a 20-yard pass with just under a minute go. 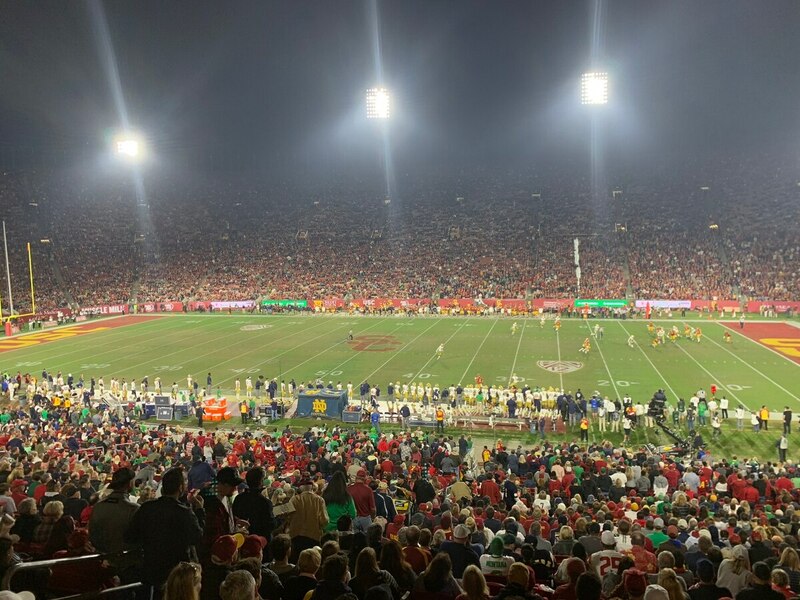 USC was unable to recover the onside kick attempt and Notre Dame ended the game. The Trojans will not be heading to a bowl game. Meanwhile, Notre Dame will look ahead to the College Football Playoff.